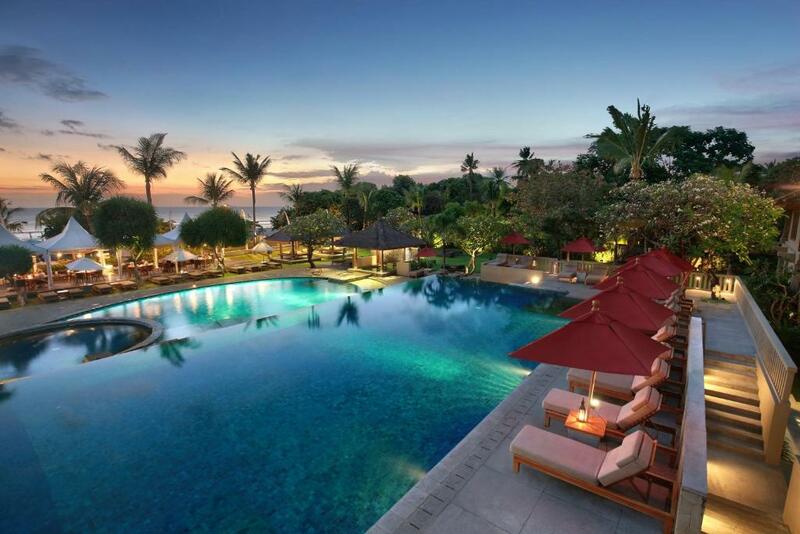 Lock in a great price for Bali Niksoma Boutique Beach Resort – rated 9.2 by recent guests! 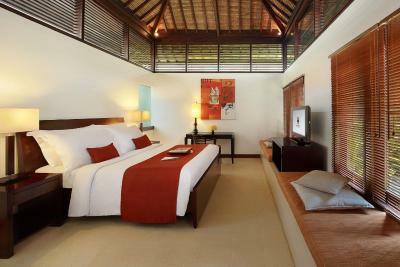 Had wanted to stay here for some time, as thought the style was nice and close to the beach. I had a few dishes at sunset which were good. The massage was excellent with the therapist Unique which was the highlight of my stay. The staff made the difference on this one. 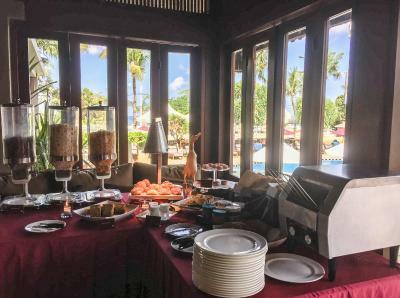 From the polite and quick housekeeping to the waiters at the breakfast bar. The massage ladies are very well trained in both Thai and Balinese massages. Of course being at the beach, it was in a great location. The pools were beautiful and perfect size for the number of guest. Staff were so friendly and helpful. We were upgraded to a junior suite which was amazing and had a super comfy bed! Great location, and super friendly staff. Loved the small touches, especially the wooden ducks. 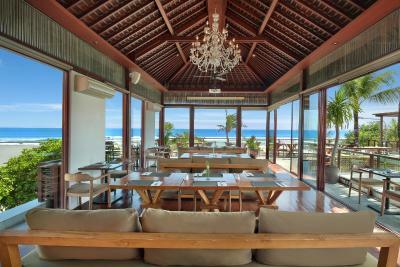 Bali Niksoma Boutique Beach Resort This rating is a reflection of how the property compares to the industry standard when it comes to price, facilities and services available. It's based on a self-evaluation by the property. Use this rating to help choose your stay! 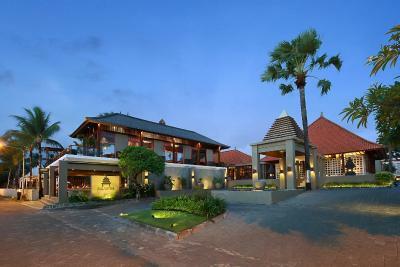 The Bali Niksoma Boutique Beach Resort is located right on Legian Beach. 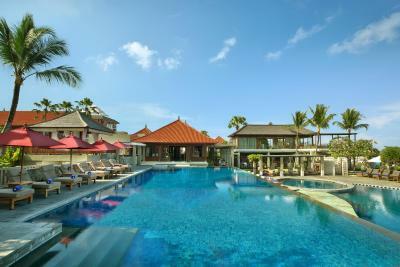 It features 2 swimming pools, a spa and restaurant. WiFi and parking are free. 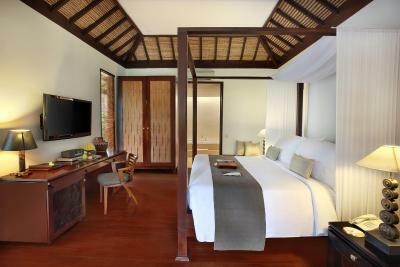 Air conditioned rooms at Bali Niksoma Boutique Beach Resort come with modern décor. 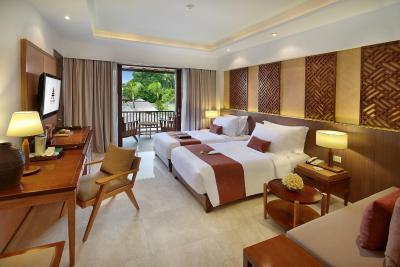 Each elegant room has a DVD player and flat-screen TV with cable channels. Complete with a balcony, safety deposit box and a mini-bar. 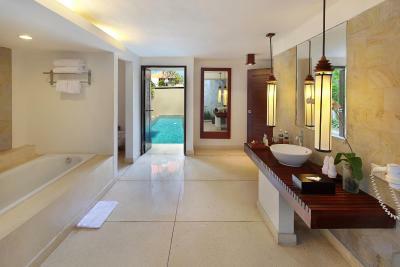 A bathtub and shower is in the private bathroom. 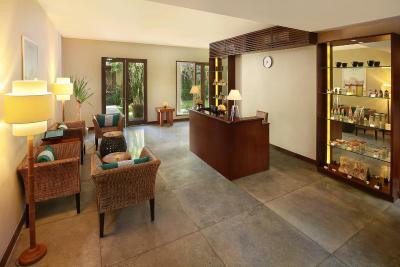 Guests of the resort can work out at the fitness center or enjoy pampering treatments at Visala Spa. 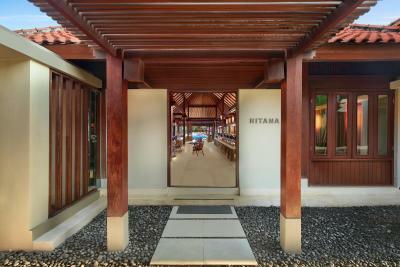 The resort also has a boutique gallery that showcases local artwork and handicraft. 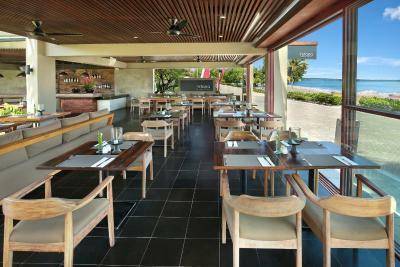 The beachfront Hitana Restaurant and Bar serves a range of Asian & Indonesian specialties and international dishes.. Refreshing cocktails and tropical juices are available. 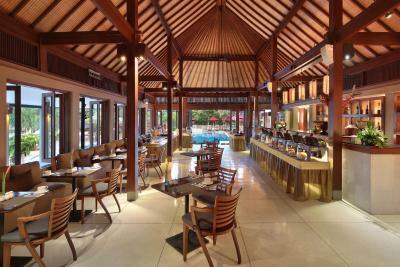 Alternatively, guests can sample a fine selection of Asian and Italian cuisine at Mozzarella by the Sea located just right next to the resort. 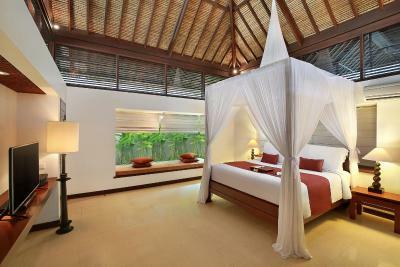 Bali Niksoma Boutique Beach Resort is 0.9 mi from Kuta Beach and 1.2 mi from Seminyak Beach. 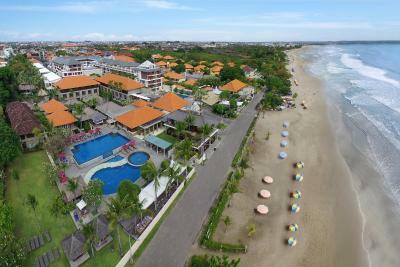 Kuta Square and Kuta Art Market are 1.6 mi from the resort. 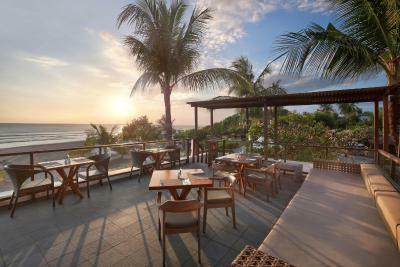 This is our guests' favorite part of Legian, according to independent reviews. 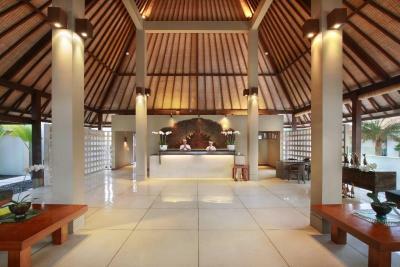 This property also has one of the top-rated locations in Legian! Guests are happier about it compared to other properties in the area. 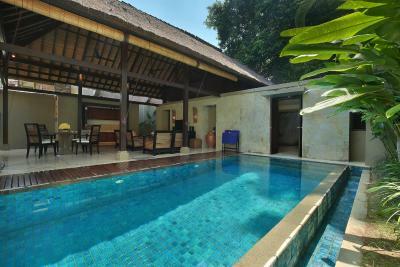 This property is also rated for the best value in Legian! Guests are getting more for their money when compared to other properties in this city. 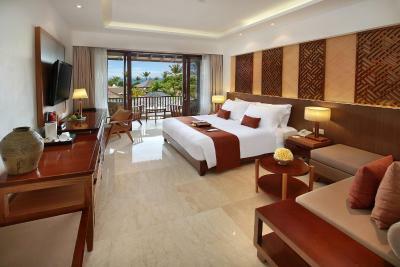 뀐 Located in the top-rated area in Legian, this property has an excellent location score of 9.4! 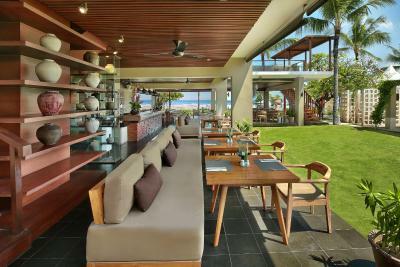 When would you like to stay at Bali Niksoma Boutique Beach Resort? 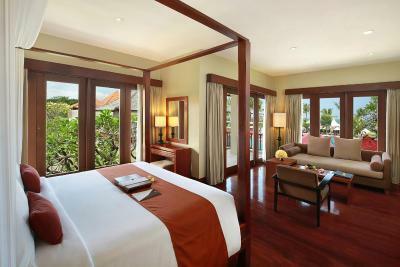 The rooms feature views of the ocean/garden. Fitted with a sofa bed, flat-screen cable TV and a DVD player. 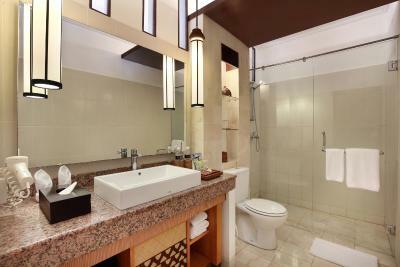 Private bathroom comes with a bath or shower, hairdryer and free toiletries. 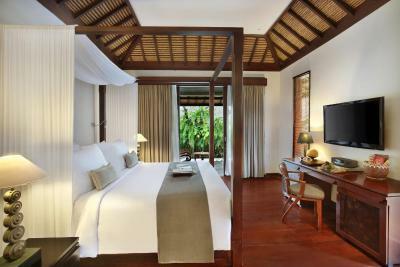 Featuring a modern Balinese decor, this room comes fitted with a DVD player and a flat-screen cable TV. The private bathroom has a shower, hairdryer and free toiletries. 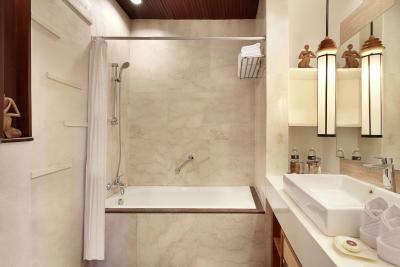 Cottage-style suite features parquet floors and bathroom with separate bathtub. Bathrobes and slippers are provided. 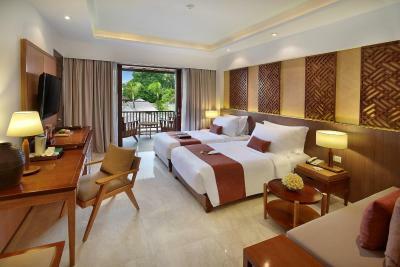 Room consist of 2 deluxe rooms. Each feature garden and sea views. 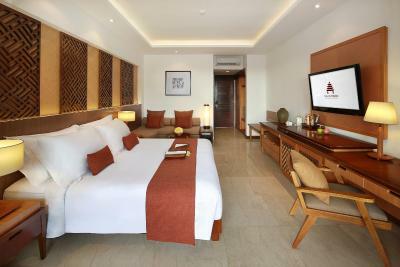 The room is fitted with a sofa bed and a flat-screen cable TV with DVD player. 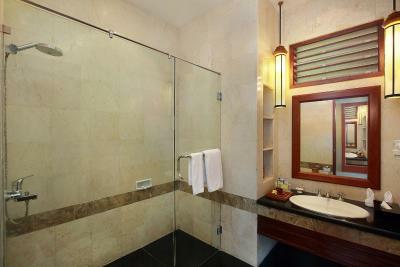 Private bathroom comes with a bath or shower, a hairdryer and free toiletries. The rooms offered are not guaranteed to be interconnecting nor next to each other. This villa has a balcony, patio and bathrobe. This suite features a balcony, DVD player and sofa. 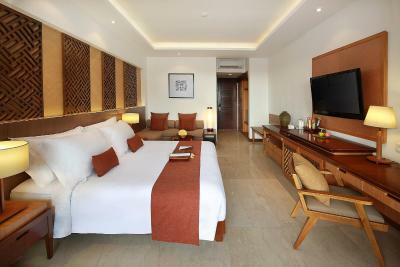 Guest staying minimum 3 consecutive nights get credit resort worth IDR 500000. 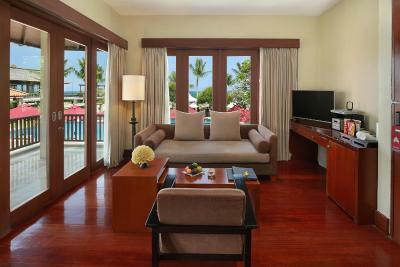 This suite has a balcony, seating area and flat-screen TV. This villa features a balcony, sofa and satellite TV. This twin/double room has a balcony, cable TV and electric kettle. Guests enjoy 2 complimentary bottles of beer (non-accumulative). 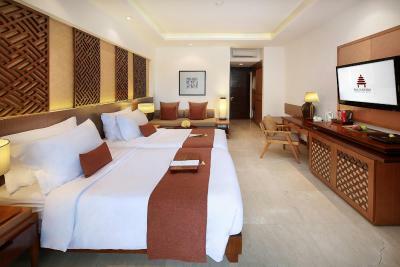 This twin/double room features a balcony, seating area and air conditioning. This suite has a balcony, satellite TV and garden view. This suite features a balcony, cable TV and patio. 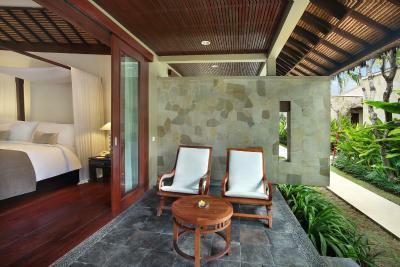 This villa has a balcony, seating area and air conditioning. 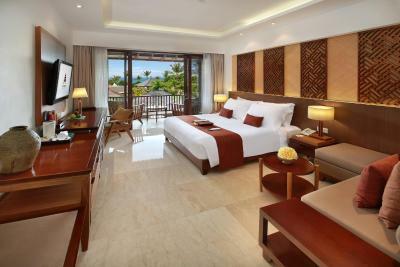 This twin/double room features a balcony, soundproofing and view. 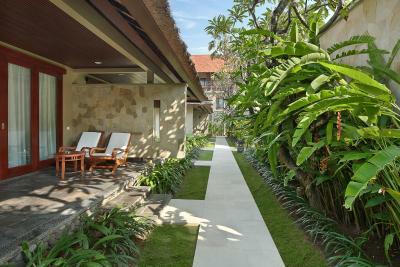 Guests are entitled to one-time, 60-minute Balinese Massage for 2 people. 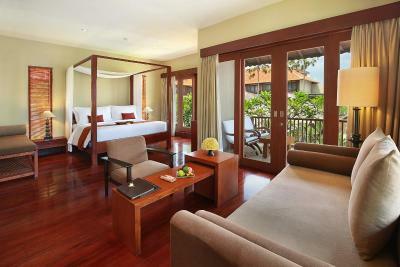 This twin/double room has a balcony, air conditioning and bathrobe. This suite features a balcony, soundproofing and seating area. This suite has a balcony, sofa and soundproofing. 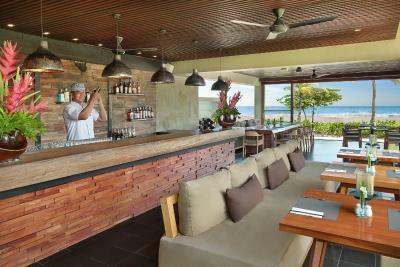 Guests enjoy one-time mini-bar per stay, consisting of selected snacks, soft drinks and beer. This twin/double room has a balcony, patio and seating area. This suite has a balcony, electric kettle and patio. 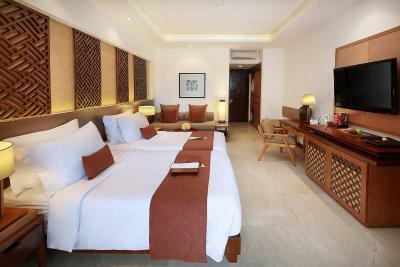 This twin/double room features a balcony, seating area and flat-screen TV. This twin/double room has a balcony, soundproofing and bathrobe. This twin/double room features a balcony, electric kettle and mini-bar. Guest staying minimum 2 nights get one-time airport drop-off. This suite has a balcony, flat-screen TV and sofa. This twin/double room features a balcony, electric kettle and sofa. This suite has a balcony, seating area and electric kettle.